Often times it is easier to learn by watching someone else than to read about it. (And more fun, too!) Below we’ve created several video tutorials to allow you to do just that. 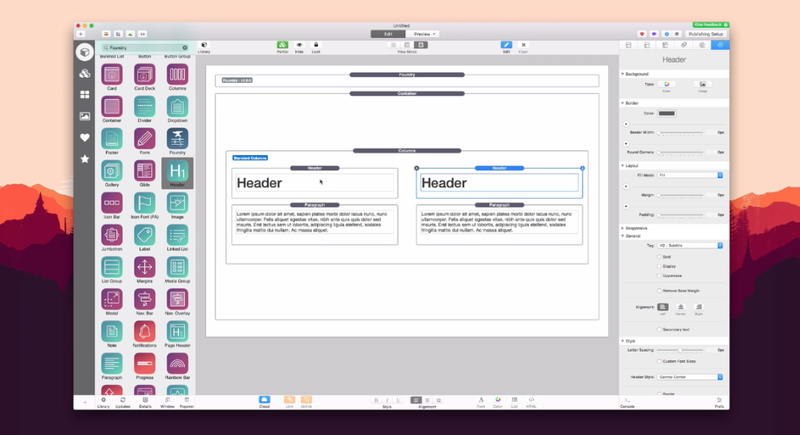 In this quick video we look at how to quickly install your newfound Foundry stacks and theme into RapidWeaver. 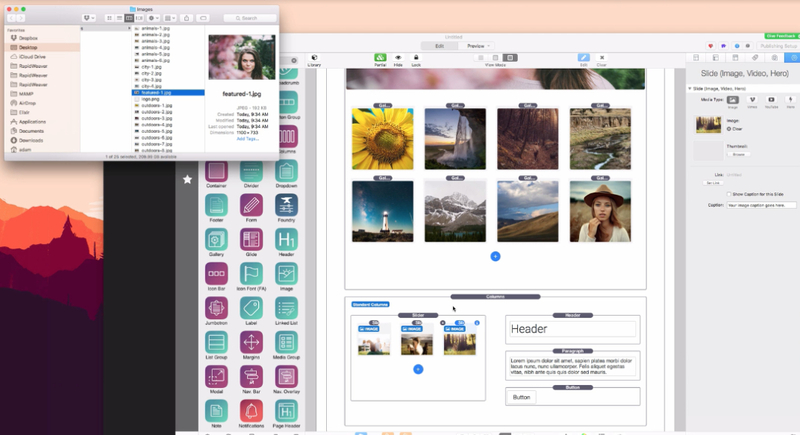 It’s simple and painless, with RapidWeaver doing all the heavy lifting. 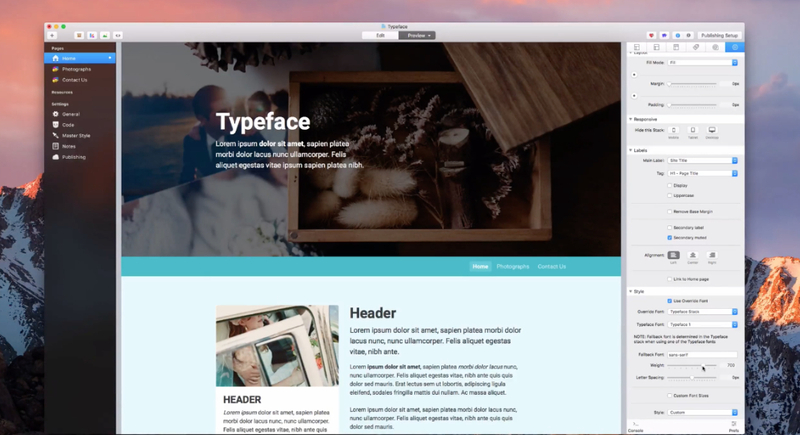 In this video we build a one-page portfolio site using the Gallery, Slider and Form stacks included in Foundry, along with some of the mainstays like the Header, Footer and Paragraph stacks. In this video we look at the basics of the Columns stack for Foundry. We also delve into creating and using Customized Columns, including the Column Ordering and Offset features. In this video we explore using the Margins stack to set both margin and padding around page elements at each of the three Foundry breakpoints. This will help us to create dynamic layouts. In this video we take an overview of how Typeface works and what it does for you as far as managing your fonts. We have additional videos on how to work with both Google Fonts and Adobe Typekit fonts below. Introduced in v1.2.5.0 of Foundry. We offer extensive documentation on each of the stacks included with Foundry in our Documentation section. In this section we look at some of the basics when it comes to getting up and running with Foundry, such as installation and the bare essentials you’ll need on your Stacks page to get started. This quick video takes a look at how to install updates for Foundry’s stacks and theme as well as time saving tips when doing so. In this section we explore how to build specific page designs, as well as creating specific section types on your page, from start to finish, giving you a look at ways to combine many of the Foundry stacks. Learn the basics of some of Foundry’s Component stacks. The Component stacks are the stacks with purple icons in the Stack elements library. They’re generally the stacks which form the structures of your page that your Content and Utility stacks are added into. We take a look at what the Cards stack is exactly and check out some of its many child-stacks. We build out a simple sidebar to show one, of many, possible uses for the Card stack. In this video we look at the basics of the Columns stack, as well as delve into using Customized Columns, Column Ordering and Offsets. We take a quick look at the Navigation Bar stack and some of its options, as well as how to pair it with the Banner stack. The Pagination stack allows you to organize a lot of content into a minimal amount of space, and do it with style. Introduced in v1.1.0.0 of Foundry. In this video we explore using the Margins stack to set margin and padding around page elements at each breakpoint for dynamic layouts. We take a quick overview of the Table stack and explore how you can use it to construct great looking tables for your site from the ground up. Introduced in v1.1.0.0 of Foundry. We look at how you can use the Table [CSV] stack, in conjunction with your own CSV files, to generate beautiful tables for your site. Introduced in v1.1.0.0 of Foundry. A quick look at how some of Foundry’s Content stacks function and how you can use them when building your site. The Content stacks are the blue-green Foundry icons in your Stack elements library. Share code snippets with your visitors in style using the Syntax stack. In this video we look at adding different code blocks to your pages and choosing a style to match your site. Introduced in v1.1.0.0 of Foundry. We look at Foundry’s Utility stacks and see just how some of them work. The Utility stacks, indicated by red icons in the Stacks library, are generally single purpose stacks with a set purpose. In this video we take an overview of how Typeface works and what it does for you as far as managing your fonts. Below we have additional videos on how to work with both Google Fonts and Adobe Typekit fonts within the Typeface stack. Introduced in v1.2.5.0 of Foundry. We look at how we can include a wide variety of free Google Font on our Foundry based pages using Typeface. Introduced in v1.2.5.0 of Foundry. 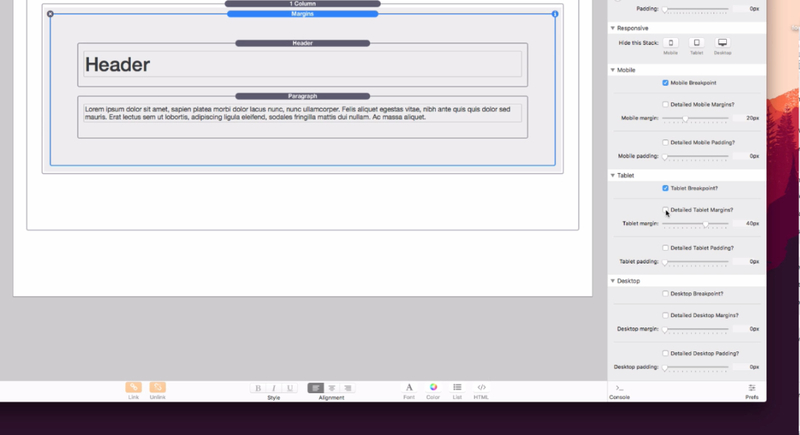 We look at how we can use the Typeface stack to host our own fonts right inside RapidWeaver as well as assign them to other Foundry elements. Introduced in v1.3.3.0 of Foundry. We look at how we can use Adobe’s Typekit font service to include professional grade fonts on our pages using Typeface. Introduced in v1.2.5.0 of Foundry. We look at how to quickly and easily create buttery-smooth animations for elements placed in the Reveal stack. Introduced in v1.1.0.0 of Foundry. We look at how you can align your content vertically in containers with preset heights using the Vertical Center stack. Introduced in v1.1.0.0 of Foundry. Learn how to add a button to your page that will scroll the browser to a target location on the page. Introduced in v1.1.0.0 of Foundry. We look at how you can make use of the Style Guide stack while designing your site in Edit Mode, and how it allows you to stick to branding. We explore how to use the Read Length stack to convey to your visitors how long a section on your page will take to read. Introduced in v1.1.0.0 of Foundry. Discover how you can use the A/B Test stack to easily try out different designs and layouts when building your pages. Introduced in v1.1.0.0 of Foundry. Preventing content from publishing to your site is as simple as drag-and-drop We look at using the Hold stack to accomplish just that. Introduced in v1.1.0.0 of Foundry. Potion Pack is a set of addon stacks for Foundry. This set of stacks adds an extra dose magic to your Foundry based sites. Included in this bundle are several different, more complex stacks, that will help you in crafting new designs and layouts. We’ve created video tutorials for many of these addon stacks so you can see what they can do as well as to help guide you through using them in your own projects. Each stack also has its own documentation page as well. Both the tutorials and documentation can be found on the Potion Pack page. 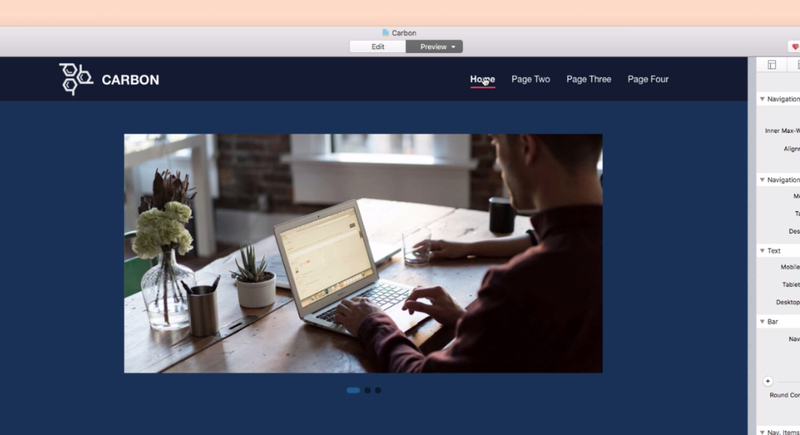 Alloy is a blogging tool specifically designed for Foundry. It is a flat-file blogging system that allows you to create beautiful and easy-to-use blogs using just plain text Markdown files. We've created a series of tutorial videos showing you how to get started with Alloy from your first steps setting up Alloy in your project and creating your first blog posts to adding topper images and RSS feeds as well as creating unique layouts using Alloy's Conditionals stack. Thunder Pack is a set of addon stacks for Foundry that will help you take your projects to the next level. Included in this bundle are several different, more complex stacks, that will help you in crafting new designs and layouts.